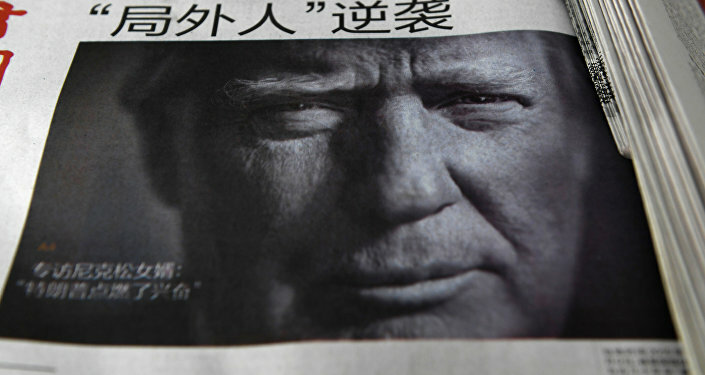 The 90-day truce in the trade war between China and the US has garnered worldwide attention. Some deem it important not only for turning around the trade war, but also for the entire bilateral relationship. Another widely spreading view holds that the truce is of limited significance, only creating a grace period for the US to further suppress China. Both analyses are not objective, affected by political positions and wishes. The consensus reached between China and the US on Saturday is a major breakthrough for the moment, the importance of which has been proven by the global stock market rally on Monday. What lies ahead are tough negotiations, but how to deal with the hardships to a large extent depends on both countries' political attitudes. The trade war has lasted over half a year, from which both China and the US have learnt each other's will, line of core interests and comprehensive strength to resist pressure. Now the two sides have a common will to start a new round of serious negotiations in the next 90 days. This is the primary significance of the cease-fire. The truce shows both sides have realized that it would be more beneficial for them to end the trade war than to continue it. Washington's understanding on this point is no less than that of Beijing. It's almost impossible to overcome the huge differences between the two sides in 90 days. But it's highly likely that 90 days of effort could build a certain trust and lead to compromises that are acceptable to both. The US is strong. But it knows well the strength gap between the US and China is not as large as that between the US and other countries such as South Korea, Australia and Japan. It cannot undermine China's core interests and needs to tread softly when maximizing its interests. The White House statement issued on Saturday didn't mention the Made in China 2025 plan, to which the US used to be vehemently opposed. China has also avoided talking about the plan for a while. This shows the two countries are seeking the possibility of compromise on highly sensitive issues. China's efforts to expand reform and opening-up have created a favorable environment to alleviate trade spats. The disputes between China and the US are more about the pace and extent of China's further reform and opening-up. Both sides will have to compromise to achieve a trade agreement in the negotiations. The trade war may escalate again if China and the US can't reach an agreement, but the two countries won't decouple from each other. Because of electoral political pressure, Washington needs to hype its win in the trade war. China doesn't have to compete for public opinion with the US. China instead thinks of the actual benefits and of promoting reform and opening-up.